GREEN BAY — Saints reserves held a 10-0 lead over Packers reserves, after the first quarter of Thursday’s preseason finale at Lambeau Field. Scott Tolzien opened at quarterback for the Packers. 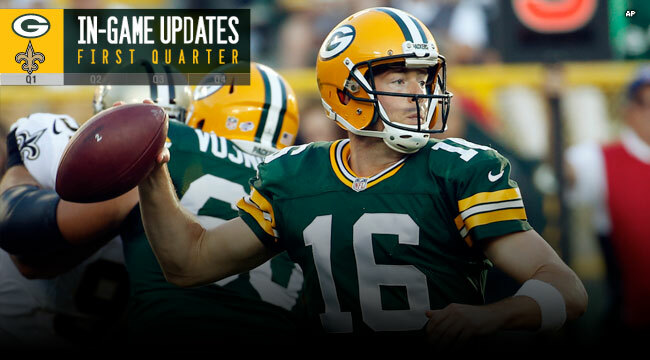 He was completely surrounded by reserves, as Packers starters took the night off. Luke McCown started at quarterback for the Saints and threw a 45-yard completion on the Saints’ first play of the game. Damarious Randall was the defender. McCown moved the Saints to the 11-yard line. Two plays later, McCown threw a 7-yard touchdown pass to Willie Snead. With 10:36 to play in the first quarter, the Saints led, 7-0. The Packers were unable to move on either of their first two possessions. The Saints began their second possession at their 39. Ryan Griffin replaced McCown and Griffin’s 16-yard pass to Snead gave the Saints a first down at the Packers 10. The drive stalled and the Saints kicked a field goal to take a 10-0 lead with 2:59 to play.